Digestive Health Associates (DHA) Lab opened in 2011 and has maintained accreditation with the College of American Pathologists (CAP) since 2012. 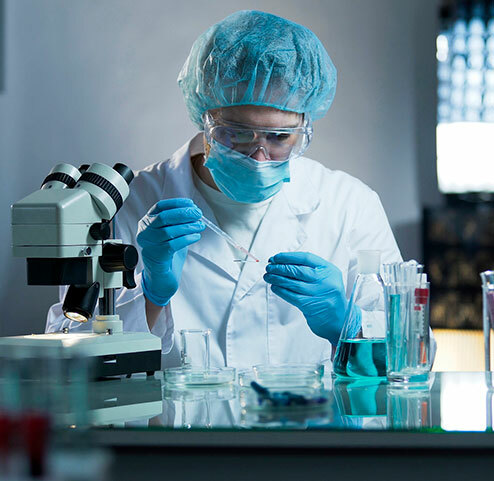 The Digestive Health Associates laboratory performs high complexity testing which is regulated by Clinical Laboratory Improvement Amendments (CLIA), a top-level laboratory testing regulation entity. The DHA histology laboratory processes more than 14,500 slides per year, providing same day results. These two stains provide the most accurate diagnosis of Helicobacter pylori (H. pylori) infections, Candidiasis, and intestinal metaplasia. Tissue specimens retrieved from procedures are processed to microscopic slides and sent overnight for diagnosis to the reference laboratory, Miraca Life Sciences. Miraca Life Sciences, located in Dallas, Texas, is the world’s largest outpatient gastroenterology laboratory/practice, examining more than 3,000 GI biopsies daily. At Miraca Life Sciences, every GI pathologist in highly trained in gastrointestinal pathology, including a number of nationally known leaders in the field from some of the country’s top institutions, such as Johns Hopkins, Harvard, Cleveland Clinic, Mayo Clinic, M.D. Anderson, Duke, Cornell, University of Texas, and many others. The company is committed to providing the most current, evidence-based testing for each and every GI center and its patients.